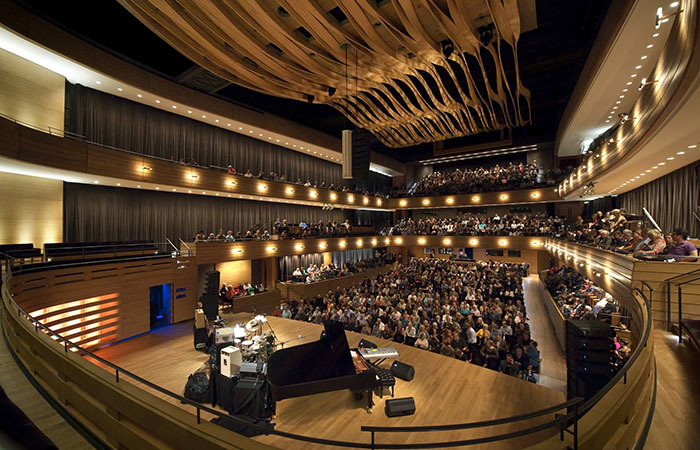 Toronto, Canada: Culture Days and Koerner Hall Free for All! The sixth season at The Royal Conservatory of Music’s Koerner Hall starts with a first: Koerner Hall Free for All! On Saturday, September 27, the hall will be open to everyone for Culture Days. If you ever wondered what it feels like to play in one of the finest halls in the world, this is your chance! Aspiring and professional musicians are encouraged to bring their best solo piece, sing a song, or bring their band, and to invite their friends and family to hear their five minutes of glory. Acoustic performances will be between 12 noon and 3pm and amplified performances from 5pm to 8pm. Sign-ups begin on Monday, September 8, by emailing freeforall@rcmusic.ca, on a first come, first served basis. The second free event during Culture Days is presented by The Royal Conservatory’s flagship ensemble and the institution’s cultural ambassador abroad, the twice Grammy Award nominated ARC Ensemble (Artists of The Royal Conservatory). On Sunday, September 28, the program titled “The Hell Where Youth and Laughter Go,” will be a commemoration of the start of WWI, featuring Ian Deakin narrating contemporary writings, as well as the music of George Butterworth and Edward Elgar. Both of these events are part of the Bloor St. Culture Corridor hub, a major initiative of Culture Days 2014. The 2014-15 season gala concert will feature Sir James Galway and Lady Jeanne Galway on Saturday, October 25. Living legend Galway is regarded as both the supreme interpreter of the classical flute repertoire and a consummate entertainer whose appeal crosses all musical boundaries. In his Koerner Hall debut, he will be joined by his wife and one of the leading female flute soloists of the decade, Lady Galway, pianist Anne Marshall, and The Galway Chamber Players with special guest Bill McBirnie (flute). Together, they perform a “hugely entertaining concert” (Washington Post) consisting of pieces from Galway’s delightfully eclectic Legacy Tour, such as works by Henry Mancini, Claude Debussy, Franz and Karl Doppler, Hamilton Harty, and Marin Marais. The concert will be preceded by a gala dinner – for information about gala dinner tickets contact Aurelia Kay at aurelia.kay@rcmusic.ca or 416-408-2824 x.428. On Friday, October 3, a double-bill of hip South Asian music transcends all cultural and language barriers with captivating vocals and worldly sounds. Juno Award winner Kiran Ahluwalia, who will be launching her new CD, Sanata: Stillness, at this concert, combines masterful ghazals and Punjabi folk songs with African Tuareg guitar music. The evening opens with Nusrat Fateh Ali Khan’s nephews, Rizwan and Muazzam, bringing the propulsive energy of qawwali to Koerner Hall. 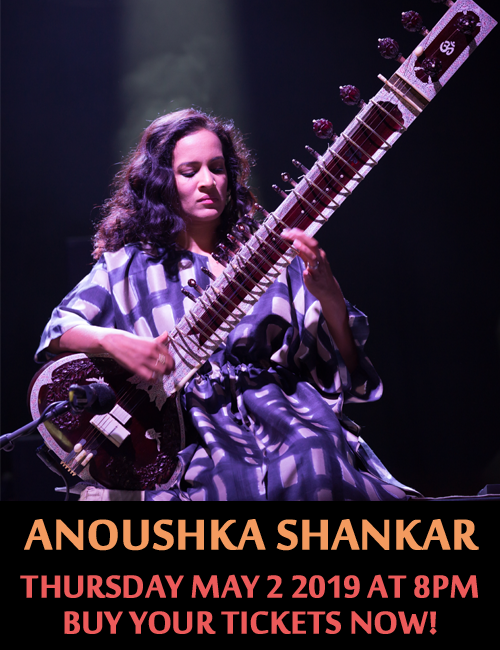 This concert, presented in partnership with the Aga Khan Museum, is also part of the Small World Music Festival. The Conservatory’s specially curated jazz concert series begins on Saturday, October 18 with a special and rare reunion of Rob McConnell’s Boss Brass, one of Canada’s greatest big bands. McConnell’s family has agreed to let The Royal Conservatory assemble 21 of Rob’s long time band members, and the all-star line-up includes Guido Basso, Brian Barlow, Terry Clark, and Lorne Lofsky, conducted by Rick Wilkins and featuring reminiscences by Ted O’Reilly. The Sunday matinée Invesco Piano Concerts series begins on Sunday, October 19 with Polish pianist Rafal Blechacz. The 2014 Gilmore Piano Prize winner he was the uncontested winner of the 15th International Fryderyk Chopin Piano Competition in Warsaw, Poland, the first Polish pianist in 30 years to win. In his Koerner Hall debut he plays works by Bach, Beethoven, and Chopin. This concert is presented in association with the Canadian Chopin Society, which is holding the Fourth Canadian Chopin Piano Competition from October 17 – 26. The competition is held every five years, in conjunction with the International Chopin Competition in Warsaw Poland, and past winners include Li Wang, Avan Yu, and Leonard Gilbert. Increasingly recognized as one of the most gifted conductors of his generation, Tito Muñoz was recently appointed Music Director of The Phoenix Symphony. On Friday, October 24, he conducts the Royal Conservatory Orchestra in a program of Dmitri Shostakovich’s Symphony No. 10 in E Minor and violinist Emily Kruspe, winner of The Glenn Gould School’s concerto competition, in Béla Bartók’s Violin Concerto No. 2. American horn player, distinguished teacher, and Glenn Gould School Brass Artist-in-Residence, William VerMeulen, makes his Conservatory debut in Mazzoleni Concert Hall, located in historic Ihnatowycz Hall, on Tuesday, October 7.In addition to solo works, VerMeulen will perform Johannes Brahms’s Horn Trio with special guests Erika Raum and David Louie. The Phil and Eli Taylor Performance Academy for Young Artists presents its first Taylor Academy Showcase Concertof the season on Saturday, October 18. Following in the steps of lauded alumni such as Stewart Goodyear, Barry Shiffman, and Martin Beaver, this is a wonderful opportunity to hear the young stars of tomorrow perform favourite works in this free series. select any 7+ concerts and save 15%; receive special subscriber benefits.